Quick Notes has developed another Productivity Module for QNotes Office to help with one of the most basic and important office functions - Patient Scheduling. 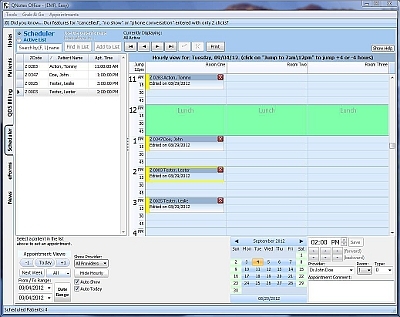 ActiveDay Scheduler is an easy-to-use scheduling solution for those practices that either do not have a current scheduler, or find their current product difficult-to-use or simply overwhelming. With ActiveDay, you can link your QNotes Office Patient List to the Scheduler, and use simple functionality to schedule the next Office Visit. Organize visits by date and even by Provider or Treatment Room. Use easy buttons and/or drag-and-drop to schedule or re-schedule a visit in seconds! 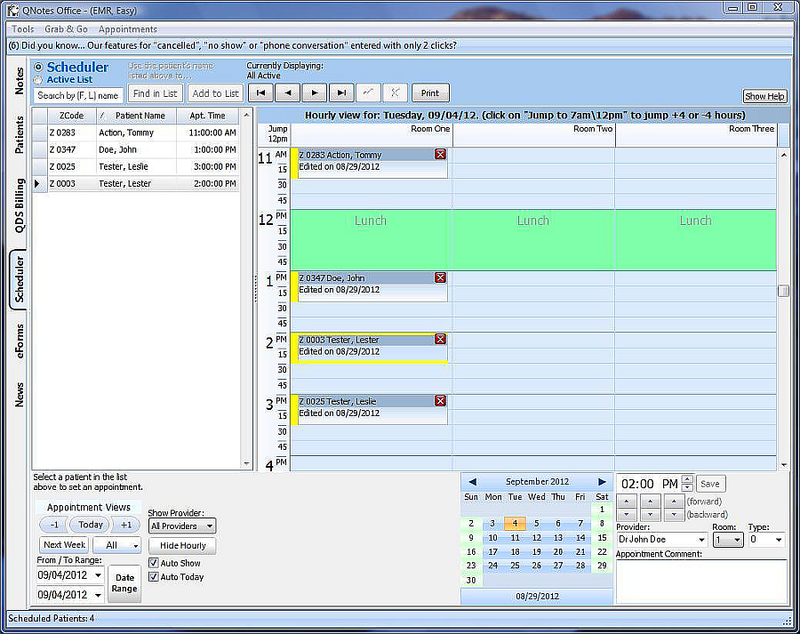 As with all Quick Notes Solutions, ActiveDay Scheduler will evolve in 2012, with more Version 5 features and functionality, including a soon-to-be-released integration with our new PDQ for the Pad systems, and the InSync PM and Certified EHR.